Is the venue easy to reach? 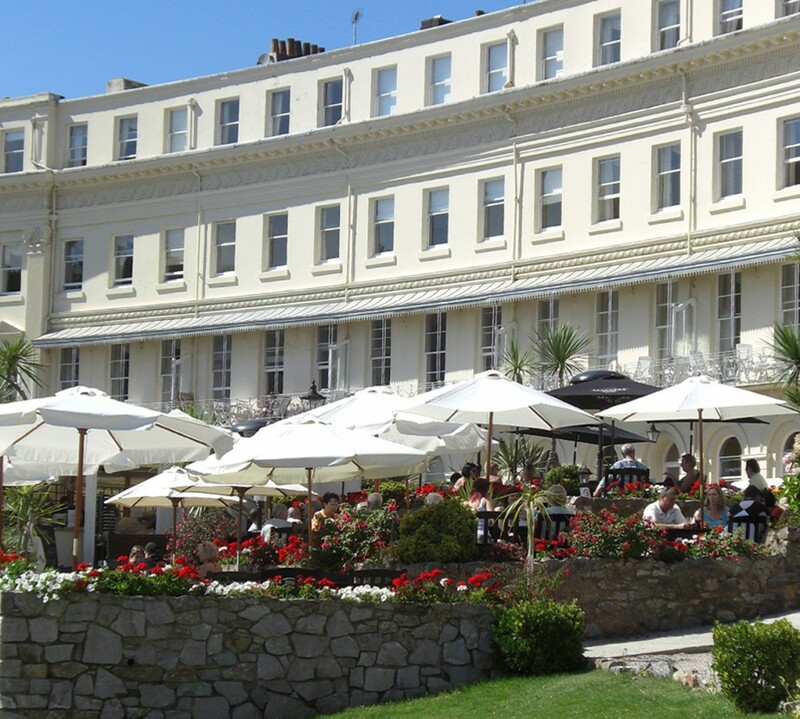 Situated a stone’s throw away from Meadfoot Beach, The Osborne Hotel boasts a superb central location (with excellent transport links) that’s both easy to find and stunningly beautiful. Opt for a space that matches the character of the meeting, for example a small room with conference style seating is perfect for business events where as a buffet function might be better for larger numbers because it can accommodate more people. At the Osborne we offer private dining, spaces for large sit down meals (at both Langtry’s and the Brasserie), board room options for smaller groups and theatre style meetings at the oak panelled library. Arrange for audio visual equipment beforehand so you don’t waste time setting things up for business meetings. On site equipment is ideal because you won’t have to bring anything along with you and you can get started as soon as you arrive. Tea and coffee is a must at any meeting but you might want to offer guests a meal or light lunch. We offer delegate rates for full and half days that include room hire and food. You’ll need to arrange a residential stay for your guests if your meeting is expected to run over a couple of days. Package deals at The Osborne include breakfast, dinner and luxury accommodation as well as use of the hotel’s leisure facilities. Click here to view our meeting pack, which includes info on all of our meeting rooms and facilities. Why not book now to benefit from our exclusive seasonal deals? Call us for the details on 01803 213 311 today. Use our brand new mobile-friendly website to book your stay at the Osborne Hotel! Our advance booking system is quick, easy to navigate and full of great offers on everything from our sea view rooms and romantic packages to seasonal savings and family discounts. It’s easy to browse and book a room on our mobile optimised site, check availability and find tips on the top attractions in the local area; from strolling along the Torquay coast to exploring Kents Cavern. You can make bookings on your phone or tablet even when you’re on the go, giving you the ultimate flexibility and freedom to plan your stay in seconds. Check out the seasonal menu at the Langtry’s restaurant, explore galleries of our facilities and enquire about organising work events and celebrations like weddings and birthday parties all in one handy place. To mark the launch of our new website, we are offering a special launch rate! Book a one-night stay for two people in an inland-facing double (breakfast included) for just £118. This offer only applies to bookings between 1st February and 24th March 2016, with advance payment only. Book now using the promotional code EMABB. Why not follow us on social media and be one of the first to access competitions, special offers and news about the Osborne Hotel? You’ll find us on Facebook, Twitter, Instagram and Google+.